Infinity Series Chromoly Front Axle Shaft Assembled Pair Jeep JK Dana 30, 2007 to 2018 - 27 Spline. Torq-Masters Industries Infinity Series 4340 Chromolly Axle Shafts are an essential upgrade Offroaders looking to get the most out of their vehicle. Our Heavy Duty shafts are built to such high quality standards that we can offer an exclusive Lifetime Warranty, giving you piece of mind in the most extreme situations. 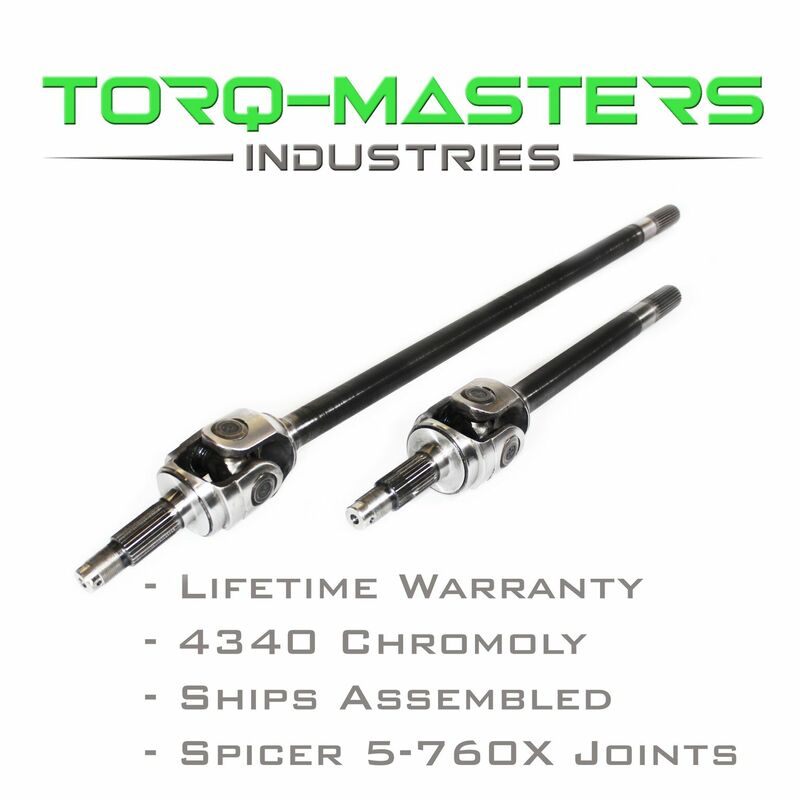 One of our favorite features of the Infinity Series 4340 Chromolly axle shafts by Torq-Masters is that they come fully assembled. One of the main reasons for u-joint failures, that can damage the axle shaft ears, is a poor u-joint install. Our team of axle and differential experts take the hassle out of installing u-joints, installing them for you, with a guaranteed proper install. We use the strongest stock replacement u-joints, upgraded Spicer 5-760X u-joints with full circlips for the Infinity Series front axle shaft kits.